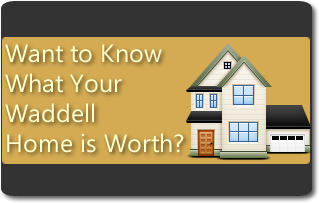 It's important to make certain you are fully prepared when purchasing a new home. Buying a home is both an exciting time and, to some, a frightening experience. Dealing with insurance, home repairs, property taxes, and mortgage loans can all be real challenges if you are not fully prepared to deal them. Consider these guidelines to help you streamline this decision and maybe help you to consider points you may not have thought of. *How much would renting a similar property cost in the same community? If rental rates are considerably less than what a title mortgage payment, insurance, and taxes will cost, it might make more sense to rent than to own. Your real estate agent can show you rental listings that you typically can't find without a Realtor. *Don't forget to consider how long your commute to work would be from those neighborhoods. Try driving the route a few times to get a feel for it, just to make sure the daily back and forth isn't a deal breaker. An hour commute may not seem like much at first, but after a month or two, you may feel differently, and you'll have to factor the cost of fuel into your monthly budget. *Take stock of your budget, especially your income and expenses.Consider your current car loans, employment, credit card debt, and so on. Try to avoid any major financial changes while shopping for a new house, as changes in your credit ratios can have a serious impact on your approval chances. A deal that started off approved can later be rejected if you were to, for example, purchase a new car before the deal closed. *Think about what schools and neighborhoods you believe would suit your family. It's especially important to consider the education options available in your area. Take the time to plan visits to the local schools and ask about their programs and curriculum. Learn about the differences between the public, private, and charter schools so you can make an informed decision about the area and which school is right for your family. *Have an understanding of what kind of credit you have. You will want to get pre-approved on a mortgage loan before looking at properties. The US Government proves one free credit report every year. You can get reports from all three bureaus at numerous websites. If there are any discrepancies, file complaints through the bureaus. *Choosing the home that best suits your needs. There are plenty of options when considering residential properties: multi-family buildings with two to four units, townhouses, condos, and traditional single-family homes. Depending on what your goals are in owning a home, you'll need to weigh the pros and cons of each to decide which property is right for you. You might also consider saving on the purchase price by going with a fixer-upper. Just be careful not to get in over your head, as the time, money, and labor involved in transforming your fixer-upper into your dream home may prove more than you bargained for.